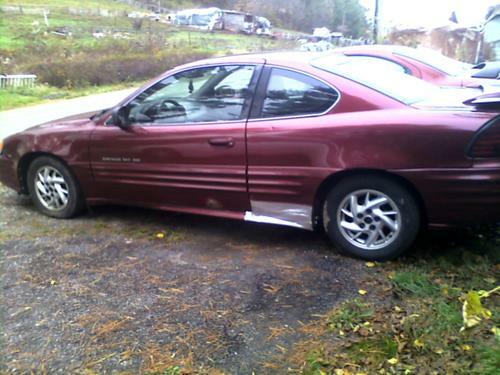 For Trade: Or For Sale: 2001 Pontiac Grand Am SE, V6, auto, coupe, about 130K miles. Inspection expired Feb. 2018, needs an oil pump and battery. Patched both panels in front of rear wheels with aluminum tape. Both front tires have a slow leak. Priced at $599 cash or trade on a truck to pull a two horse trailer. Contact Rodger at (724) 465-7826 to set up a visit.